This was a very knowledgeable and interactive session. The certification training was very good! Denver is the capital city of Colorado and is known as the "the Mile-High City." One of the fastest growing cities in the United States, Denver boasts a vibrant culture and is a hub of modern technological innovations. KnowledgeHut presents the CSD Certification in Denver to bridge the gap for a growing demand for technical professionals and Scrum aspirants. The CSD training in Denver is a program that's divided into two tracks. The first track of the course goes through a two-day workshop which covers Scrum principles, basics, and the foundational concepts. The second track proceeds as an extension to the first track in the format of a three-day workshop. The second track of the CSD course in Denver will cover practical sessions and theory which involve sharing code samples and actual design problem-solving concepts. Through our Certified Scrum Developer Training in Denver you will learn how to quickly build software using standard Scrum principles and apply fundamental concepts for better design alternatives and software creation. 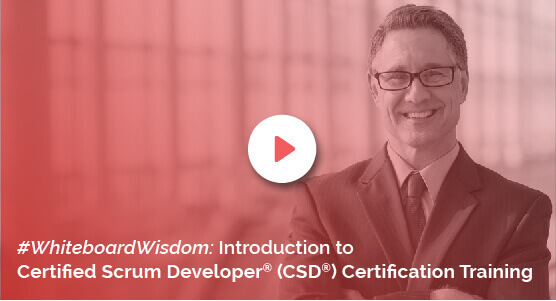 The Certified Scrum Developer Certification in Denver will provide you with downloadable comprehensive courseware along with a total of 40 PDUs and 40 SEUs for the entire two tracks. CSM professionals attending solely track two will be awarded 24 PDUs and 24 SEUs. The KnowledgeHut CSD Certification in Denver is inclusive of the course examination fee. Thorough understanding of Scrum principles in software development practices will kickstart your career and help you become a certified Scrum Developer in the industry. For more info, enrol for a live session or register for a demo at the KnowledgeHut Academy.